3)because its very close to colorful Carmel Market and Rothshild Boulvard. 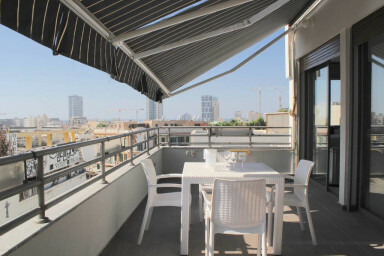 4)for its Amazing sunny terrace with sea view. you can enjoy the shadow on the terrace too..
Have a great lunch ! bath tub in a sunny bathroom with a window.